More towns and cities in California are exploring options to follow Los Alamitos in rejecting the state’s sanctuary law. Members of the Los Alamitos Council voted Monday to opt out of a state law that limits cooperation between local police and federal immigration agents. The law, signed by Gov. Jerry Brown last year and in effect since Jan. 1, includes prohibiting state and local police agencies from informing federal authorities in cases when illegal immigrants facing deportation are released from detention. The council, therefore, said it “finds that it is impossible to honor our oath to support and defend the Constitution of the United States,” if it does not opt out. 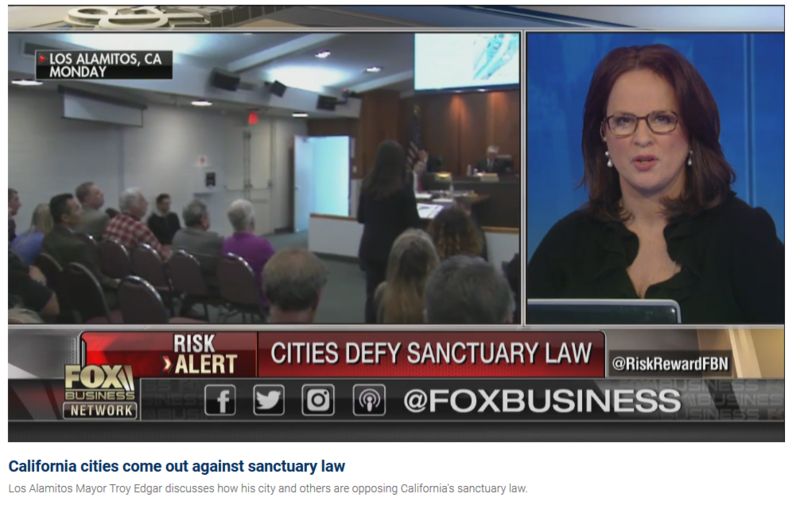 The council’s move inspired officials in Orange County and the cities of Aliso Viejo and Buena Park to consider adopting similar measures against California’s sanctuary law. Orange County Supervisor Michelle Steel said in a statement Tuesday that she plans to present a similar ordinance to the Board of Supervisors. “I thank the City of Los Alamitos for standing up for its citizens and rejecting the so-called ‘sanctuary’ legislation passed in Sacramento, and I urge the County of Orange and all of our cities to do the same,” Steel said in the release. Aliso Viejo Mayor Dave Harrington said his council will discuss similar action next month. Buena Park Councilwoman Beth Swift said she will follow the lead as well and will request a discussion on the measure at the next council meeting. Huntington Beach had been considering opting out of the state’s sanctuary law even before Los Alamitos’ decision, Assemblyman Allen told the publication. 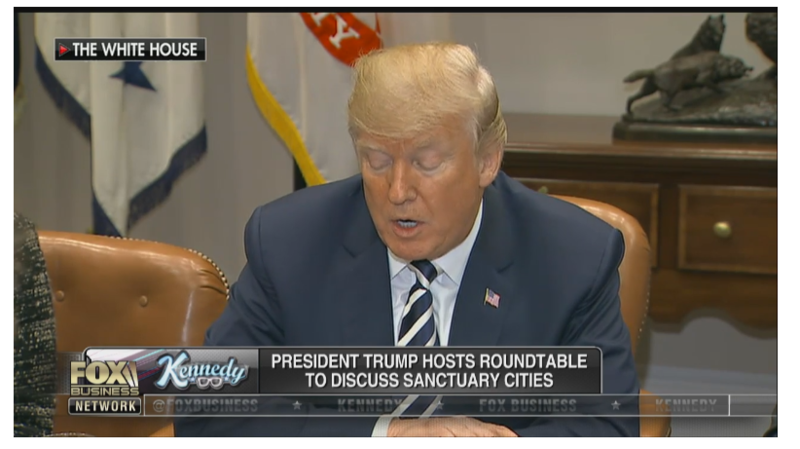 The attempts to rebel against California’s sanctuary law will no doubt pit state and local lawmakers against each other. California’s Senate leader, Kevin de León, who authored the controversial sanctuary law and is aiming for U.S. Sen. Dianne Feinstein’s seat, said the law doesn’t violate the Constitution and those councils opting out of it are risking to be sued. The Los Alamitos Council’s “symbolic vote in favor of President Trump’s racist immigration enforcement policies is disappointing,” de León told the Ventura County Star.